The Ray and Kia Motors Manufacturing Georgia (KMMG) today announced plans to install a state-of-the-art tire pressure and tread depth measurement system at the Georgia DOT “Visitor Information Center” (VIC) in West Point, Georgia, at mile marker one of The Ray, near the Georgia-Alabama state line. This will be the first publicly available installation of the WheelRight® drive-over tire safety system anywhere in the U.S. Results of tire pressure and tread depth measurements are provided automatically on all tires within seconds to the driver via an adjacent, touch sensitive kiosk that provides a printed read-out. Every year, more than 35,000 drivers die in accidents on U.S. roads and highways. U.S. DOT data demonstrates that underinflated tires can lead to skidding, hydroplaning, increased stopping distance, flat tires and blowouts. All of these tire failure-related issues increase the chances for crashes that can result in fatalities and injuries. The International Tire and Rubber Association cites tire underinflation as the “single most common” factor in tire failure. KMMG and The Ray have committed to fully fund the acquisition and installation of the tire safety technology, thereby providing the services free of charge to travelers on The Ray, and creating more awareness of the dangers and negative economic impacts of driving with under or overinflated tires and badly worn treads. Annually, more than 762,000 visitors traveling in nearly 244,000 cars and trucks stop at the West Point VIC for travel information and comfort breaks. Additionally, KMMG and The Ray are underwriting the cost of an air compressor at the Visitor Center, which will allow drivers to adjust tire inflation at no charge, thereby reducing maintenance costs and achieving better fuel efficiency. The U.S. Department of Transportation’s (DOT’s) National Highway Traffic Safety Administration (NHTSA) reports that more than a quarter of automobiles and about a third of light trucks (including sport utility vehicles, vans and pickup trucks) on the roadways of the U.S. have one or more tires underinflated 8 pounds per square inch (psi) or more below the level recommended by the vehicle manufacturer. In 1999, underinflated tires contributed to 247 of 32,061 fatalities and 23,100 of almost three million injuries reported that year. The WheelRight® tire safety system can help more accurately quantify the number of passenger vehicles and heavy trucks that are operating and being maintained at the correct tire pressure. Those results could be used for public awareness programs, targeted tire safety messages and other opportunities to engage traditional and social media regarding the financial savings, road safety and environmental benefits that drivers can affect through tires alone. Billions of Dollars Wasted. What gets measured gets managed. Incorrect tire pressure reduces the fuel economy performance of cars and trucks, which not only leads to wasted fuel and unnecessary fuel costs, but also increases air pollution from the vehicle tailpipe. The DOT estimates that approximately five million gallons of fuel are wasted every day in the U.S. due to low tire pressure, equating to two billion gallons of fuel wasted annually. Also, according to Edmonds.com, underinflated tires increase tire wear, which increases the drivers’ vehicle maintenance and operation costs. In a 2015 deployment of the WheelRight® tire safety system, the British agency “Highways England” measured almost 23,000 vehicles over a six-month period, and found approximately 1,500 grossly under-inflated passenger vehicle tires and 370 grossly underinflated heavy truck tires. Highways England estimated the financial benefits from the awareness campaign and subsequent safety actions topped £3.5 million for the period. The installation of the WheelRight® tire safety system is the second major financial investment that Kia Motors America (KMA) and KMMG have made to advancing and demonstrating cutting-edge technologies on The Ray. In 2015, KMA financed the installation of the Southeast region’s first Level 3 electric vehicle charging station powered by a solar array, otherwise known as PV4EV, at the West Point VIC. KMMG and KMA have been trusted and highly valued partners in The Ray since its inception. The Ray is a proving ground for the evolving ideas and technologies that will transform the transportation infrastructure of the future, beginning with the corridor of road that is named in memory of Ray C. Anderson (1934-2011), a Georgia native who became a captain of industry and was recognized as a leader in green business when he challenged his company, Atlanta-based Interface, Inc., to reimagine the enterprise as a sustainable company – one that would pursue zero environmental footprint. 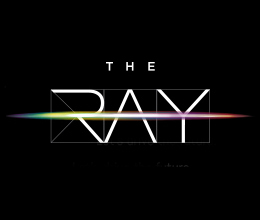 Chaired by Ray’s daughter Harriet Langford, The Ray is an epiphany of the Ray C. Anderson Foundation. Learn more at www.theray.org. WheelRight, located in the UK on an Oxford University technology park, was established with a vision to research, develop and commercialize technologies to automate the inspection of tires on any vehicle whilst the vehicle is in motion. Ease of use, accuracy and simplicity are key design criteria for the web-based cloud system. The integrated, cloud technology is working 24/7 in bus and HGV depots across the UK for a range of customers and tested extensively by Highways England.